HOW DID AMERICA BEGIN? This simple question launches acclaimed author Nathaniel Philbrick on an extraordinary journey to understand the truth behind our most sacred national myth: the voyage of the Mayflower and the settlement of Plymouth Colony. As Philbrick reveals in this electrifying new book, the story of the Pilgrims does not end with the First Thanksgiving; instead, HOW DID AMERICA BEGIN? 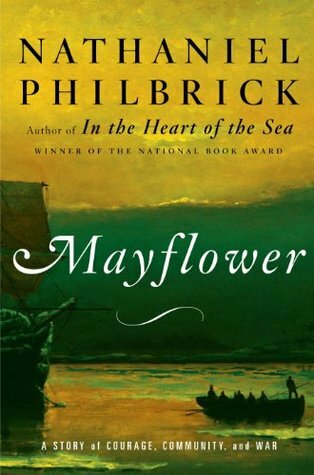 This simple question launches acclaimed author Nathaniel Philbrick on an extraordinary journey to understand the truth behind our most sacred national myth: the voyage of the Mayflower and the settlement of Plymouth Colony. As Philbrick reveals in this electrifying new book, the story of the Pilgrims does not end with the First Thanksgiving; instead, it is a fifty-five-year epic that is at once tragic and heroic, and still carries meaning for us today.